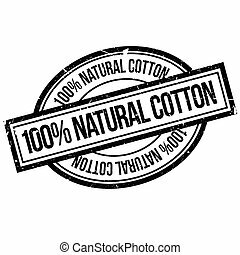 Cotton labels or logo for pure 100 percent natural cotton textile tag. 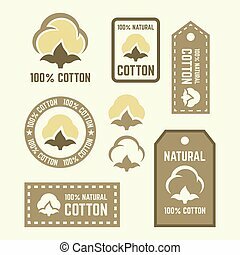 vector isolated icon for clothing label or eco fabric design template of leaf, flower and thread in needle. 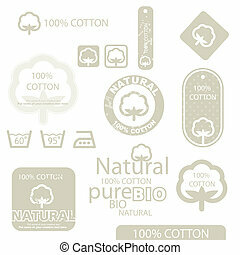 Natural organic cotton, pure cotton vector labels set. 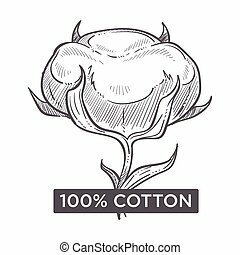 Hand drawn, typographic style icons or badges, stickers, signs. Isolated on white background. 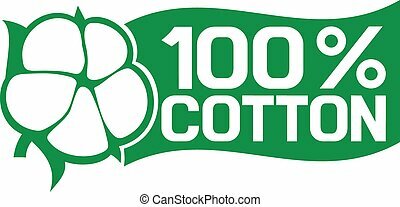 100 Percent Cotton watermark stamp. Text tag between horizontal parallel lines with grunge design style. Rubber seal cyan stamp with dirty texture. Vector ink imprint on a white background. 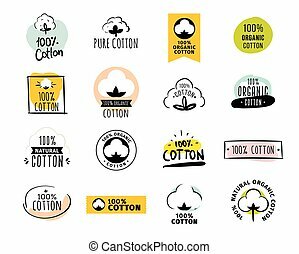 Cotton logo set. 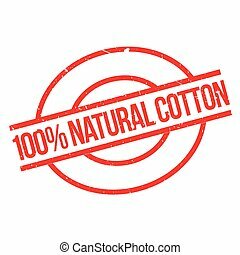 Cotton labels, stickers and emblems.